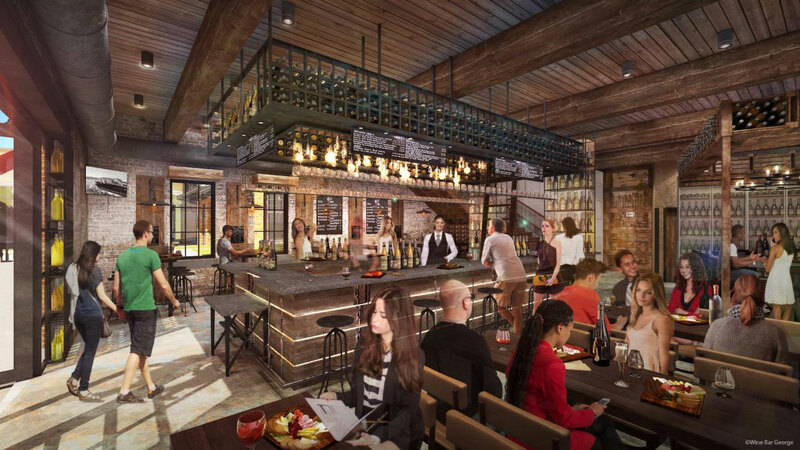 Today, we are getting an updated look with some new renderings of Wine Bar George at Disney Springs. 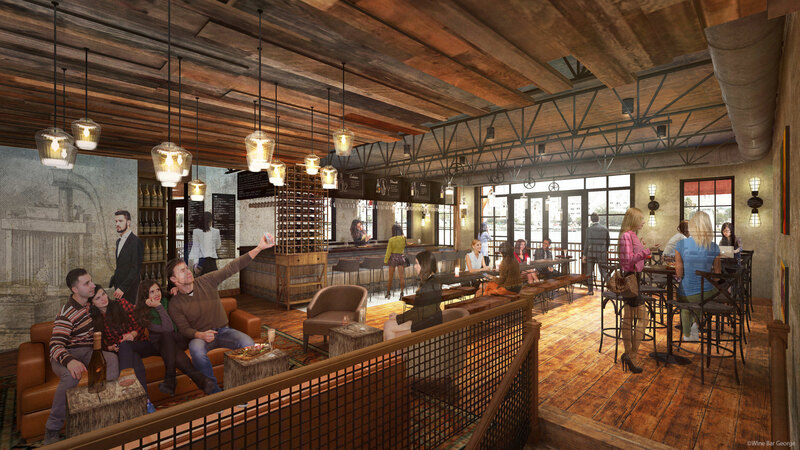 According to Master Sommelier George Miliotes, the second floor will include seating for groups of all sizes, space for private events and sweeping views of Disney Springs. The idea is for guests to experience a feeling reminiscent of the Old World as if they are on the bottom floor of a gravity-flow winery surrounded by their best friends. During our recent visit for Sunday Brunch at Disney Springs, we noticed the progress that had been made to the exterior of Wine Bar George. Earlier this year, Ron Rupert was announced as the executive chef for George Miliotes’ Wine Bar George which will open this Spring. For those interested in working at Wine Bar George, you can submit an application online here. For more information, please visit WineBarGeorge.com. You can also follow George @WineBarGeorge on Twitter, Instagram and Facebook. This entry was posted in Walt Disney World and tagged Disney Springs, Wine Bar George by Scott Sanders. Bookmark the permalink. I am really looking forward to checking this out in December. Thanks for the info!